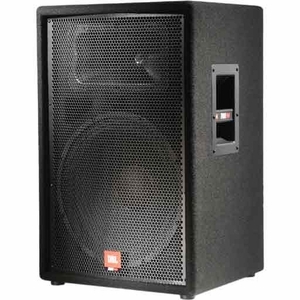 JBL JRX115 this trapezoidal, 15" speaker system is at home in live sound, dance music and speech reinforcement. It's equipped with low and high-frequency drivers built in our Northridge, California factory. Features include the Dual-Angle, 35mm pole-mount socket as well as Neutrik® Speakon® and ¼" input connectors.